We provide both on-site and remotely managed IT services. Whether you need help with your network, your cloud services, or you just need some technical support, we’re here to help you. We also offer managed desktop services to handle day-to-day user and technical support, security, mobile device management, data backup and recovery. We will even manage those pesky user profiles, so you don’t have to. When your firm’s network, servers, desktops and mobile devices are all protected and running smoothly, you’ll have the confidence of knowing that you’ll be able to get the job done, and that we’ll be there to help you along the way. In the event of a problem, help is only a phone call—or a click—away. Staffed by friendly and experienced professionals. Simply call, email or log a support request via our portal, and we will be there to help you resolve whatever issue comes your way. Another benefit to our managed IT services? -Streamlining your IT management. Because we readily provide both on-site and remote technical support, your hardware and client management systems be managed securely and effectively—just one more reason to partner with us. If security is your concern, we’ve got you covered. Using gold standard, industry leading services that comply with the very latest security standards, we safely and securely backup all your data. We take care of your company’s everyday problems and plan for the unforeseen issues of the future, so you don’t have to. 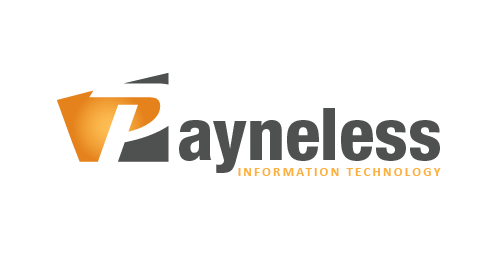 Payneless IT are experts at leveraging technology to create more efficient and effective workplaces or practices. With years of experience we can utilise technology to streamline, simplify and automate operations all the while providing professional, timely and reliable support. 24/7 monitoring of your network, we are immediately alerted of any issues! Professional and friendly service desk operators that can resolve your issues in a timely and responsive manner. We can provide reports on a monthly, quarterly or half yearly basis. Whichever suits your business needs.